The Art of Style Hair Salon at 1713 Marion-Mt. Gilead Rd. 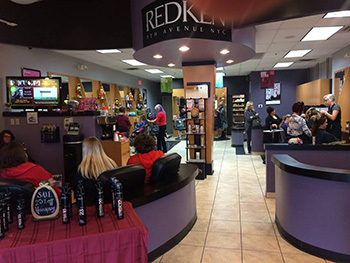 in Marion, Ohio is a full service Redken hair studio with the ability to meet your cutting, coloring, chemical and waxing needs. You are purchasing a $50.00 gift voucher to The Art of Style for $25.00. For a full list of services provided by The Art of Style Hair Studio visit http://www.aosmarion.com. Art of Style Hair Studio offers a wide range of services. We are a full-service Redken hair studio with the ability to meet your cutting, coloring, chemical, and waxing needs. All services provided can be seen at http://www.aosmarion.com. Art of Style looks forward to helping you look your best!